I really didn't want to use cianocrylate or velcro to glues things or screws on my Witbox 2. The solution is NEODYMIUM MAGNETS : using 4 magnets (10mmx2mm) (http://amzn.to/2pFuM2p) for each holder. That could fit every spool in every position ! 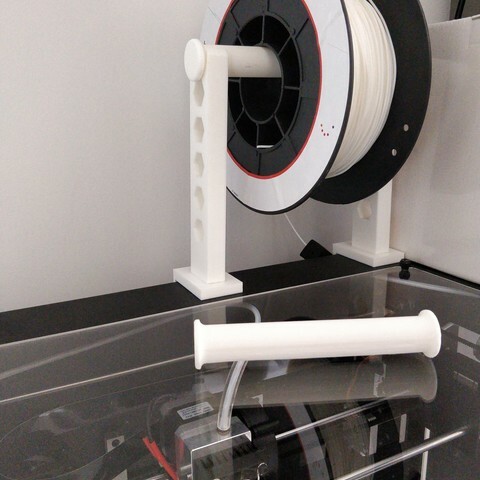 Add large spool holder (2kg & more). Add all things one by one for print only what you want. Simplify3D profiles for all my 3D Printers on GitHub.